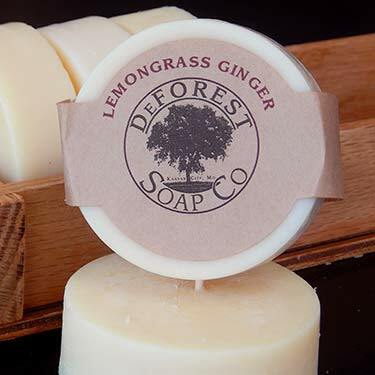 DeForest Soap Company™ is a family-owned and operated natural soap producer. We were founded on the idea that what you put ON your body is as important as what you put in it. There was a time when people had a connection to their purveyors and the goods that they offered were simple and pure. 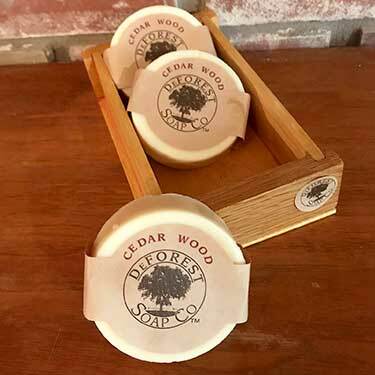 DeForest Soap Company strives to provide a natural cleansing bar with ingredients you can pronounce, oils that nourish your body and essential extracts to delight your senses. 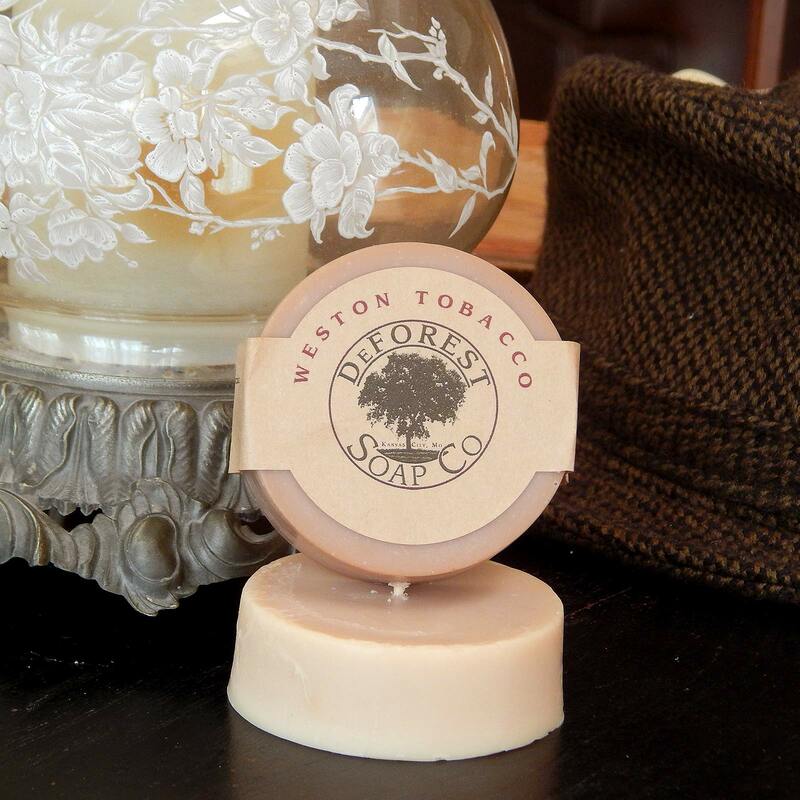 DeForest Soaps are handcrafted in Kansas City, Missouri by our family. Our products are of exceptional quality, made in small batches using time-honored traditions; slowly, with care and only the best natural ingredients. DeForest Soaps: from our hearts to your home; local, quality products rooted in traditional greatness. Many of our soaps are offered in a choice of base types. The three we offer are the Standard all-vegetable style, the Patchwork Farms lard and vegetable blend, or the Local Pig lard and vegetable blend. Read more about our soap types. Cedarwood essential oil gives this bar a sweet, earthy, and woodsy aroma and instantly takes you to a cedar forest. It is a scent for everyone and a great way to start or end a day. This bar will surely please the outdoor enthusiast with its fresh forest scent. The koala bears know something. Eucalyptus essential oil gives this bar an herbal scent with woody undertones. Although consumption is not recommended unless you are a koala bear eucalyptus contains many soothing and healing properties for the skin and it just smells refreshing. Made with Patchwork Family Farms lard. A spicy rich blend of essential oils. Hints of sugar and selected spices has made this bar a fall favorite. An all-natural all fragrance free lard and vegetable soap with the finely ground organic oats. Pure and clean, this bar provides a chemical free exfoliate leaving the face and body fresh and clean. Reminiscent of an English Country Side this bar has a rich floral, fruity scent and is a classic for both men and women. The dried lavender buds exfoliate the skin and the lavender essential oil has been found to be beneficial to the skin. Lemongrass essential oil gives this soap a neutral, earthy, lightly citrus scent. Mild and calming this is a great soap with many beneficial properties after a stress filled day. A Patchwork Family Farms Exclusive. Lemongrass and Ginger essential oils are blended to perfection for this exclusive Bar. An earthy citrusy bar with a spicy and woody peppery ginger kick to start off or end a day. This is a lard soap aficionado's favorite. This bar carries the sweet herbal fragrance of finely ground organic green tea with a hint of lemon created by the inclusion of lemon essential oil. The finely ground green tea known as matcha powder has been used in Asia for centuries to aid in health and wellbeing and is known to be loaded with anti-oxidants. This is a fantastic facial bar that can be used on the entire body leaving the skin bright and silky smooth. Spice and floral combine to make a refreshing bar for after an intense game or just a hard day. The scent possesses a blend of green notes, herbs, and complex spice. Make this bar an essential part of the cool down and relaxation. Takes you to a perfect spring morning with subtle scents of floral blooms bringing a wonderfully calm experience anytime. The tea tree essential oil can benefit your skin in so many wonderful ways and is known to have many uses. One way is use after gardening where tea tree oil has been known to reduce the risk of skin rash, which is always a good thing. This soap was inspired by the small Missouri Town of Weston located northwest of Kansas City along the Missouri River. Weston is a tobacco town surrounded by rolling hills planted with tobacco. In the fall the tobacco is harvested and cured in barns. The scent drifting from these rooms is captured in this bar. The scent is extremely complex and rich with nuances of tobacco leaf, tobacco blossom, vanilla and woody undertones. This is a fragrance scented soap. An all-vegetable luxury bar scented with natural essential oil. Handcrafted with Olive and other natural vegetable oils rich in vitamin E. These bars are good for the whole body. 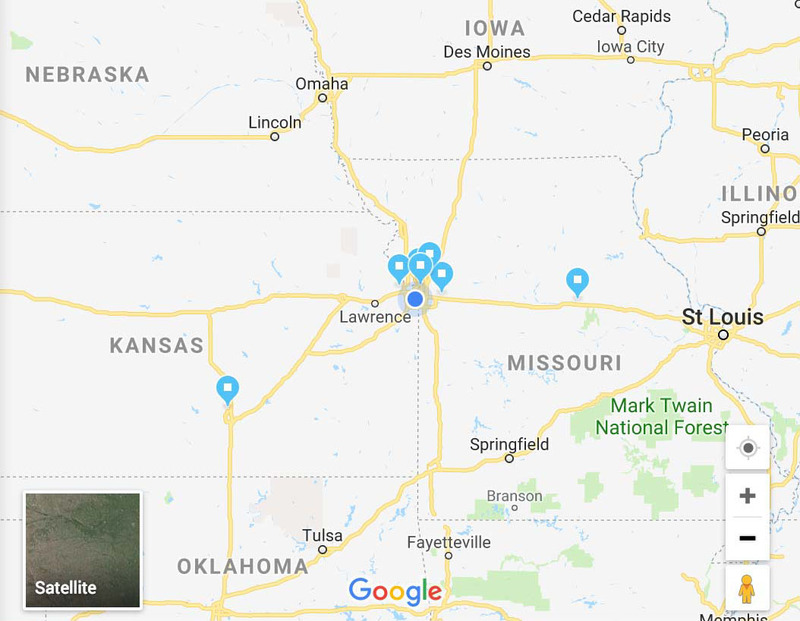 We have partnered with Local Pig Charcuterie of the famous Kansas City, Missouri, River Market community to develop an all-natural lard based luxury bar. This bar contains lard and as many know lard makes a very luxurious soap. We agree and you should too if you have no objections to animal products. Patchwork Family Farms is composed of 15 independent family hog farmers who raise hogs the traditional way and that tradition results in a very high quality and rich lard. We have partnered with Patchwork to create a line of soaps using lard from their farmer's hogs. When you purchase a Patchwork Lard Soap a portion of the money supports Missouri farm families. All DeForest soaps are hand made right here in Kansas City. Shipping is via FedEX or USPS express services and should arrive within 3 to 5 days. At this time, DeForest soaps can only be shipped within the US. 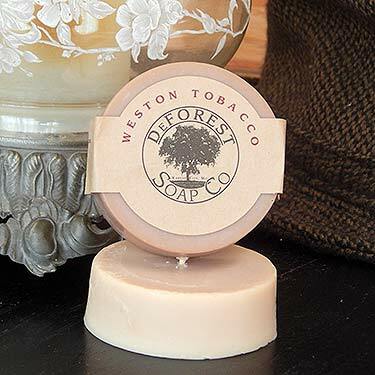 If you have any questions about DeForest soaps, or distribution please contact us any time. 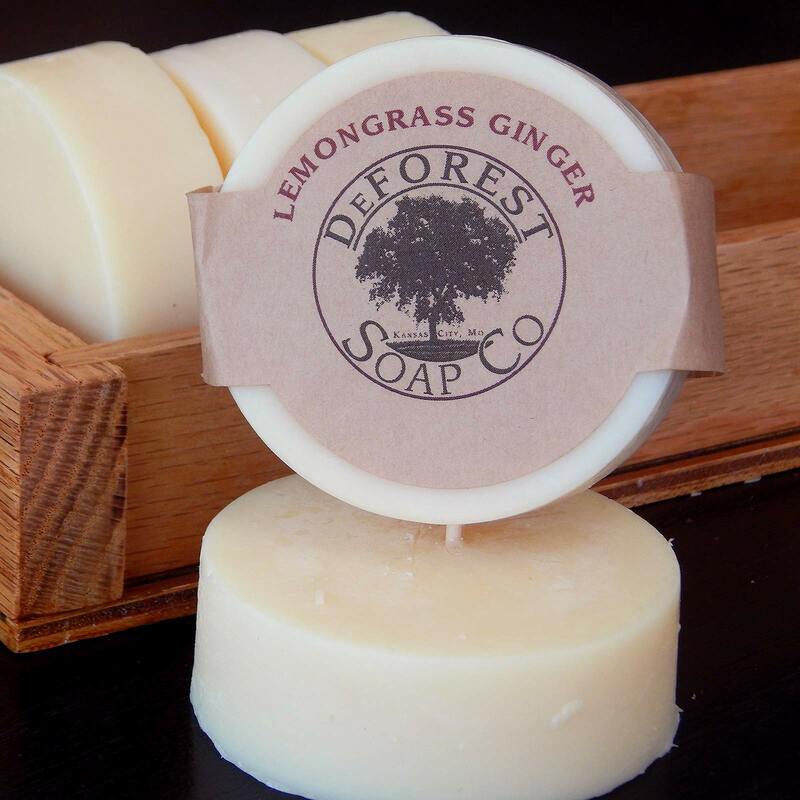 None of DeForest Soap's products are intended for the treatment of any medical condition. Please read labels carefully to avoid any known allergens and discontinue use immediately if any irritation occurs.